After dropping teases last week the new Guns N' Roses, Black Sabbath and Billy Idol band supergroup Deadland Ritual have revealed their debut single "Down In Flames". 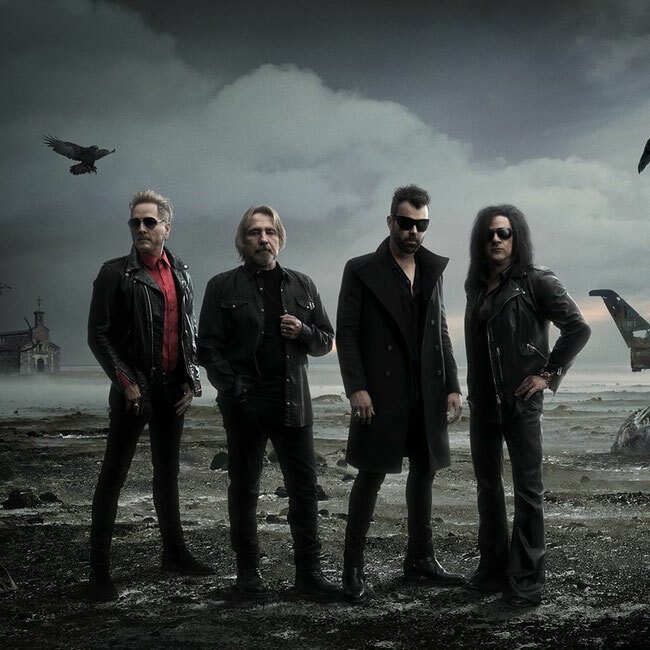 The new group features Black Sabbath legend Geezer Butler, former GNR drummer Matt Sorum, Billy Idol guitarist Steve Stevens and Apocalyptica singer Franky Perez. Fans of hard rock and heavy metal will find a lot to love about Deadland Ritual. The group creates a sludgy atmospheric soundscape that is just as mystical and thought-provoking as the visuals that their name conjures up. Gritty and powerful vocals soar, surrounded by a swell of harmonies that coagulate together with an interlocking combination of heavy riffs, rhythm and low end. Best heard at full volume, this is a group that will leave a mark when you see them live. The band was the brainchild of Sorum, who came up with the name “Deadland Ritual” to reflect the idea of a “ritualistic dead space”, which felt appropriate for the music he wanted to make.